The Japanese Region celebrated the 2011 CFA Annual in Reston, VA with a Cherry Blossom Reception. 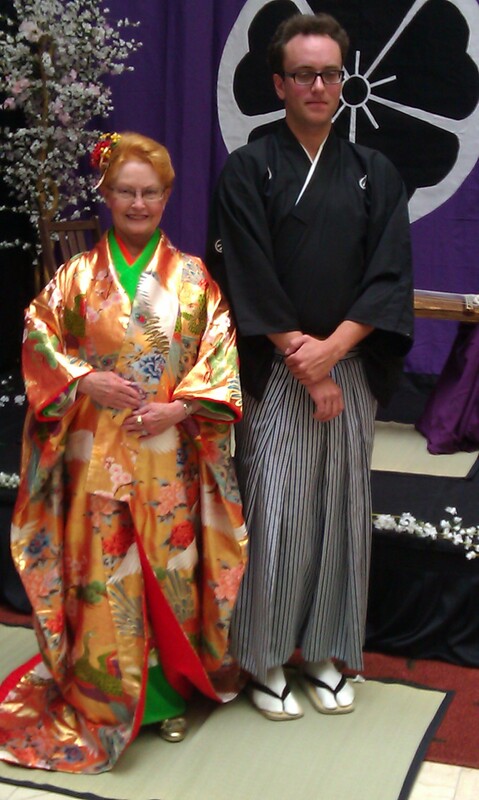 Kim Everett, in her lovely wedding kimono, represented the Japanese who were unable to attend due to the devastating spring earthquakes that rocked Japan. 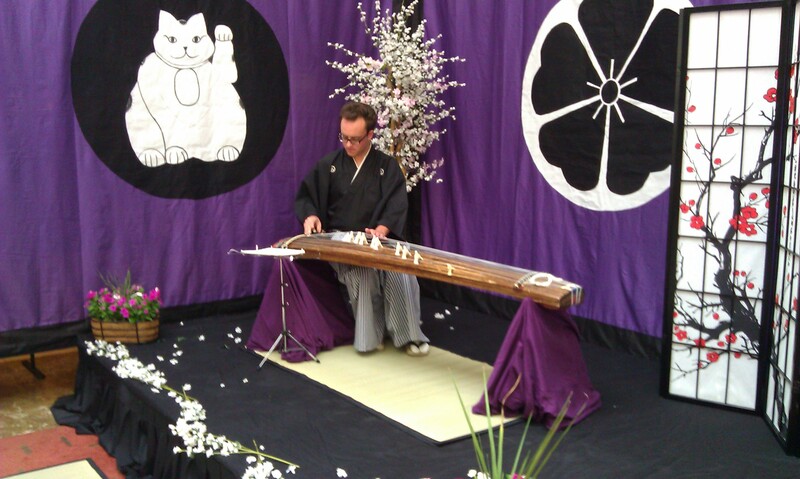 Japanese decorations and music were provided and wonderful sushi/sashimi hors d’overs were available for all. 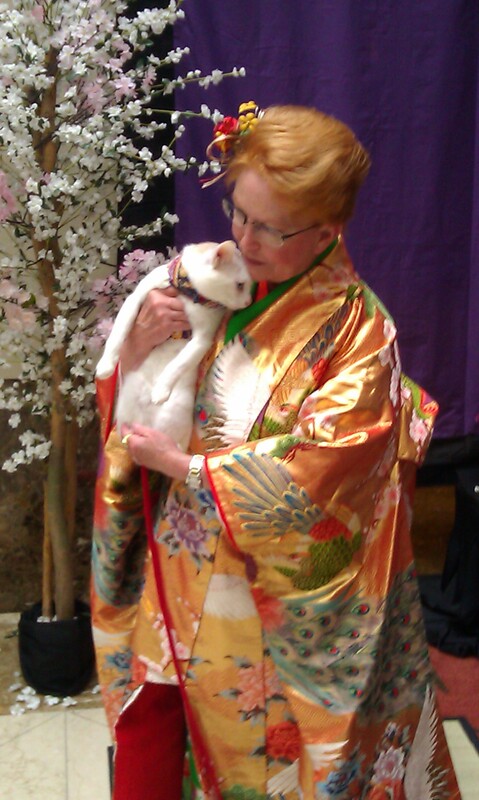 One of our Japanese Bobtail cats attended the reception and visited with Kim at her request. GC, RW, Wyndchymes Kaelyn, a cream and white shorthair Japanese Bobtail male came from Texas to the Annual in Reston, VA with his owner, Paula Noble. 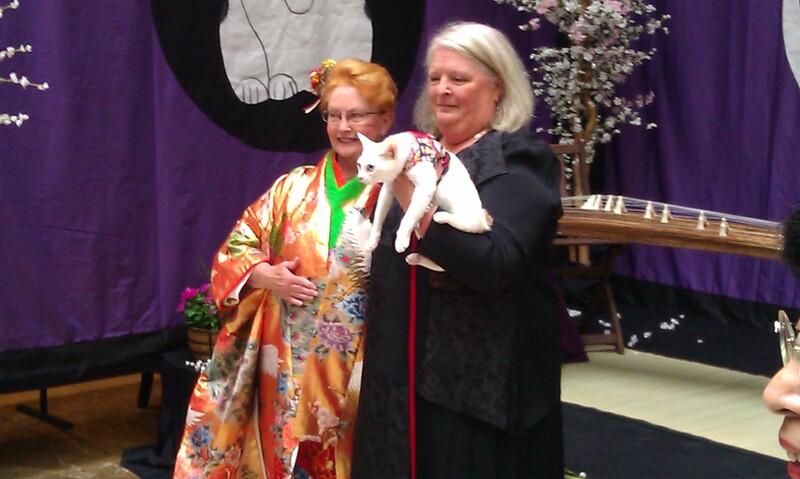 Kaelyn was there to participate in the Judges” Workshop presentation about the Japanese Bobtail breed. When Kim found out that there were Japanese Bobtail cats at the hotel she said it would be fun to have one visit in the reception foyer.